Emirates Post (Empost), the leading postal and express delivery service provider in the UAE, and Fujairah Free Zone (FFZ) signed a cooperation agreement to integrate services and activities across common divisions. 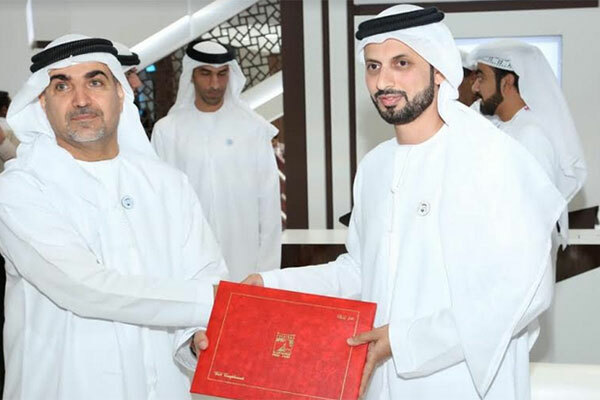 The agreement was signed by Obaid Mohammed Al Qatami, acting chief commercial officer at Emirates Post Group and Sharief Habib Al Awadhi, director general of Fujairah Free Zone Authority, at Fujairah Pavilion on the sidelines of Gitex Technology Week 2018. The agreement aims to improve the quality of postal services provided to FZE customers and partners by harnessing e-connectivity across combined functions. "Fujairah Free Zone is committed to providing efficient and reliable services to its investors. The e-solutions provided by the agreement are a valuable addition to the Authority's efforts to enhance investor confidence through the provision of superior facilities, and we are pleased to strengthen our partnership with Emirates Post to provide enhanced postal services in line with our commitment to customers," said Al Awadhi.